RecDesk is a cloud-based recreation management platform designed to simplify the way recreation organizations and nonprofits in the US and Canada manage their operations. The software includes tools for managing facility schedules, programs and activities, memberships, leagues, billing and invoicing, email marketing, reporting, and more. 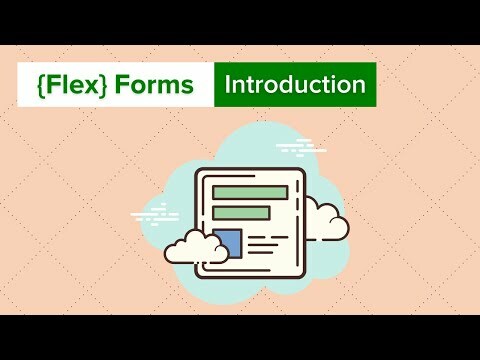 RecDesk’s form builder allows users to create custom paperless forms, including enrollment forms, health assessments, and liability waivers, which can be completed online by customers. With the drag-and-drop editor, users can add a range of elements to forms, and forms can be integrated into activity, program, or membership sign-up workflows. Through the RecDesk community portal, customers can register for programs, reserve facilities, make payments, and view activity and payment histories online. Payments can be processed through Stripe, Authorize.net, and PayPal Payments Pro, and RecDesk can be integrated with a range of accounting systems to manage activity and journal entries. With RecDesk, users can manage a range of activities and programs, with the ability to set minimum and maximum enrollment levels, enrollment start and end dates, and multiple fees and fee types, create recurring schedules, record program attendance, capture expenses, manage and export rosters, and more. Online facility reservations can also be offered, allowing the customers to browse available dates through the community portal, and reserve specific dates and times. The master calendar gives users an overview of all facility reservations, whether initiated internally or by members, and any scheduled programs or activities. Each facility also has an individual usage calendar, and users can switch between daily, weekly, and monthly calendar views. Makes my job so much easier!! This software allows our department to stay organized in a way we never could before. I love the fact that I can access it from my phone when I am outside at a ball field needing to check a schedule or book a practice for someone. It is so much easier for me to organize my leagues-- attaching birth certificates to our members, attaching concussion certification to our coaches, seeing how many participants have registered at any given time. The compliments are endless. The customer service is superb! Super quick to answer emails or phone calls. If there is something you want this software to do that it doesn't, it gets added to a list of possible future enhancements. Our department needed something added a couple of years ago. In less than a week, the enhancement was made just because we asked. We used the free trial when we first began and never looked back! Thanks Lisa - we love hearing this feedback and it validates the efforts we put forward every day to push platform forward every day to make life easier for our clients. Working with RecDesk has helped us streamline the registration process for our staff and customers. The ease of use. It is intuitive to use, which makes training new staff super easy. It is also simple for our customers to use the community portal. The staff and the consumers love that once their household information is saved it makes registration simple and quick. Our staff loves everything about the software. We are constantly impressed with the new features that are added on a regular basis. Often we'll be wishing for an improvement on something and before we can ask about it they make it happen! We are so happy we chose RecDesk over it's competitors! They can't be beat for customer service and price! The only thing I don't like about the software is people can create multiple profiles. I wish there was a way it recognized a person's email or mailing address and alerted them they already have a profile with us. Thanks for the review Heather. We do have duplicate account detection that will do just what you ask - Maureen will contact you about activating it for your account! Customer service is top notch. Ease of use for staff and the public is great. The ease of use, easy reporting and the front side website. Customer service is top notch - I never have to wait for an answer, the staff are extremely easy to communicate with. Thanks for review Tina and we've enjoyed serving Carteret County Parks and Recreation. We're always pushing the platform forward and will address your comment soon! Simple structured registration software that gets the job done. Other registration software can be overwhelmingly (and unnecessarily) complex, both for the user and administrator. Ease of use for both my department and users. Also, the response time is amazing when I have any questions about our community site. Ease of use for both my department and users. Also, the response time is amazing when I have any questions about our community site. I cannot add/update certain portions of our RecDesk website, such as pictures or drop down menus. It would be nice to be able to do these things myself, instead of having to request RecDesk to do them for me. Makes our registration a breeze, it organizes bulk activity information in one location and is quick and easy to access. Anyone can learn how to use it, most employees pick it up in less than an hour. We have various seasonal employees train to use it for us in the summer, they never have a problem. Anyone can learn how to use it, most employees pick it up in less than an hour. We have various seasonal employees train to use it for us in the summer, they never have a problem. Our web page editing is difficult, it was easier with a previous version. The link they provided works, but it just seems cumbersome to edit and change. Thanks for great review Dan. Contact RecDesk for details of larger plans. How does RecDesk compare with other Recreation & Wellness apps? The features offered with such a small price tag. Additionally, the customer service is second to none. The value for what you get is incredible! We are also very pleased with the customer support. Second to none! I really like the ease of use. I train many interns/employees and they understand it very quickly. The price is very affordable compared to others on the market. I wish it had more abilities to create reports is it can be a very valuable tool during budget season. Some compatibility issues with operating platforms. Also, there are some issues with the cash drawer activation and receipt printer fro Windows. The compatibility with different operating systems. We have had some problems with the cash box actuation not working with Firefox or Google Chrome. The RecDesk Master Calendar gives users an overview of all programs, member-initiated facility reservations, and general facility reservations in daily, weekly, or monthly views, with users also able to access usage calendars for individual facilities. Users can manage programs and activities with tools for defining multiple fee types, managing rosters, setting minimum and maximum enrollment levels, taking attendance, capturing expenses, emailing participants, and more. Billing and invoicing can be managed, with the ability to create flexible payment plans, store card details for automated payments, set up automated emails for online payment reminders, and merge invoices. Online reservations can be offered for selected facilities, allowing the public to browse availability through the community portal and add specific times and dates to their cart. Fixed duration and open-ended memberships can be offered to customers, with manual and automated renewals, facility check-in based on membership status, and flexible fee structures allowing for both individual and family or group memberships. Below are some frequently asked questions for RecDesk. Q. What type of pricing plans does RecDesk offer? Q. Who are the typical users of RecDesk? Q. What languages does RecDesk support? Q. Does RecDesk support mobile devices? Q. Does RecDesk offer an API? No, RecDesk does not have an API available. Q. What other apps does RecDesk integrate with? Q. What level of support does RecDesk offer?